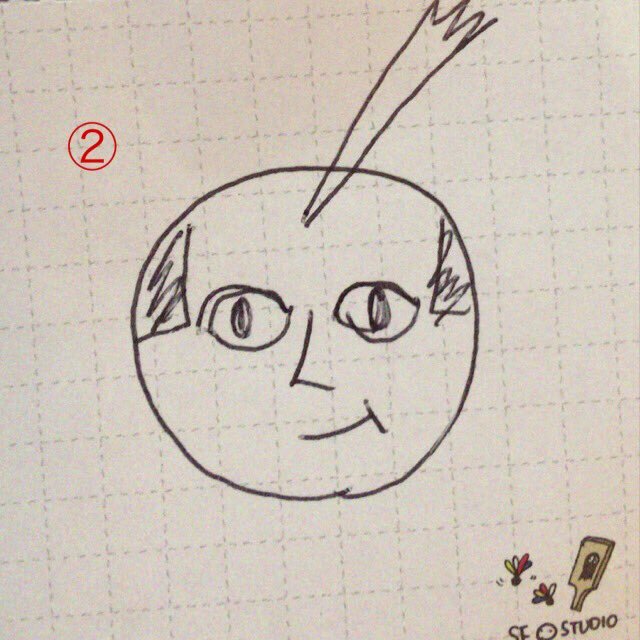 JKS was asked, during Day 2 at Nagoya, to draw himself. 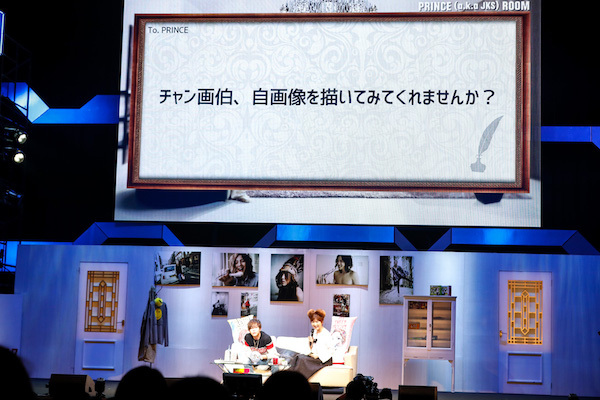 The screen pictured reads: "Master Artist Jang, will you please draw a self-portrait?" Of course, he complied. "OK! 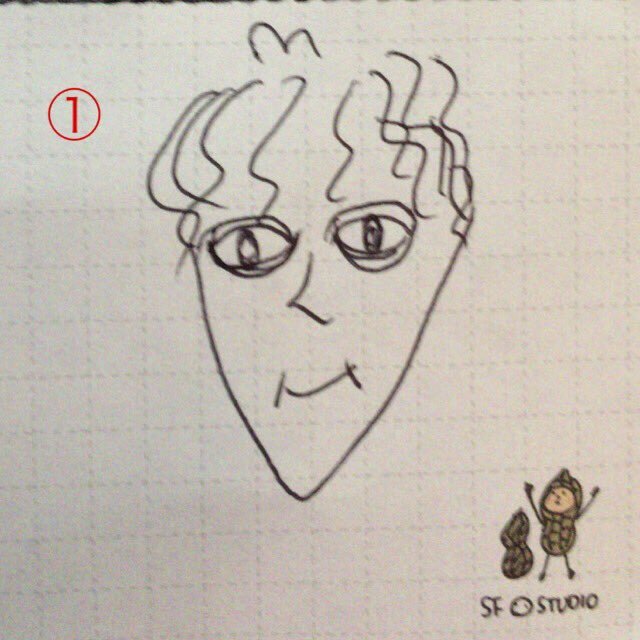 I will draw a self-portrait just like a real artist." "My face is in a V shape. I have big eyes and a long nose. My mouth is attractive, too. WOW!! This looks just like me! 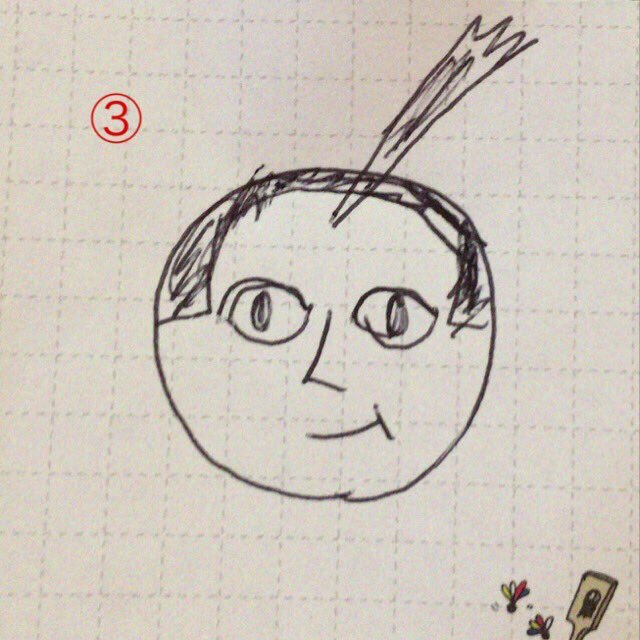 "Well, today l am with apple hair, so l have to draw my hair like an apple. Hmmm, my eyes, nose, and mouth...."
Since l am a artist, l should be wild!! (Saying this, JKS splashed his drawing with water to make it look real - his favorite "wet" hair." **NOTE: Special thanks to Tenko (a Blue Eel) for the drawings and descriptions and to Marchneko for the English translations.